In January our family met and determined the grant awards for 2019. The 2020 Board meeting will be in the second or third quarter. We continue to be interested in funding the agencies and programs our employees and family members are passionate about and support. We are especially interested in outcomes and results from the prior year’s funding. Requests to be funded in 2020 must be received by April 1, 2020. Note: We are interested in funding specific programs and innovative new efforts. We will not fund general operating expenses. 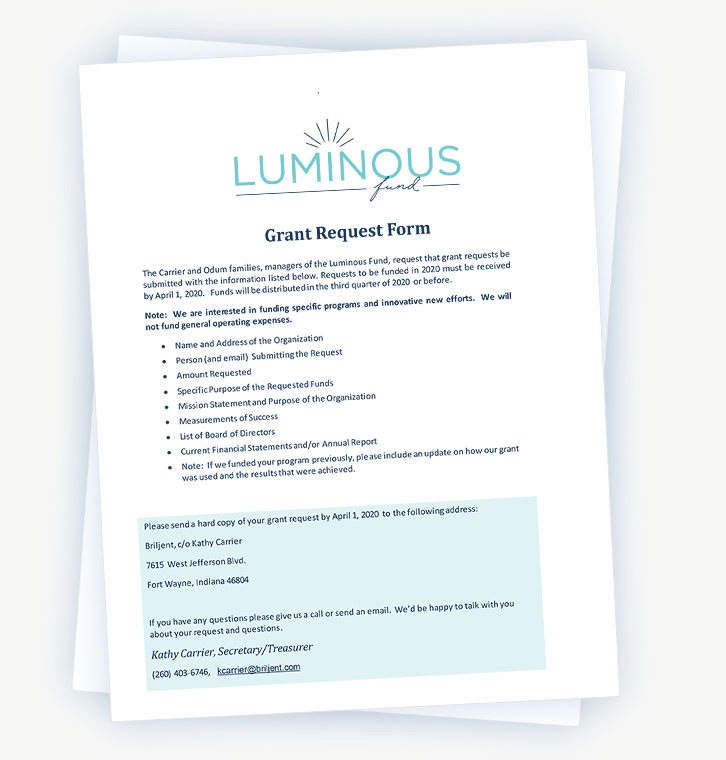 For more information about applying for a Luminous Fund grant, download the Grant Request Form. Funds were distributed in February 2019!